It’s hard to know where to turn when your loved one is suffering from cocaine addiction. You’re worried for their well-being and future, but feel like you have no control. The good news is that cocaine addiction is treatable, but before you can connect your loved one with cocaine addiction help, be sure that they’re fighting a cocaine addiction first. Here are four signs your loved one may have a cocaine addiction, and how you can help. What are the signs of cocaine addiction? Learn about how to recognize addiction and what you should do. Cocaine is a stimulant that gives its users a feeling of increased energy and euphoria. Cocaine addicts can often go days without eating because their bodies are fueled with cocaine instead of food. They may appear gaunt or lose weight rapidly without a medical explanation. Because cocaine is a stimulant, addicts won’t feel the natural need to sleep. For example, your loved one may have a cocaine addiction if he or she stays awake for two days, and then sleeps for an entire day once the cocaine exits their system. Cocaine’s stimulant effects can cause erratic or unusual boosts in activity, mood, or behavior. A cocaine addict can experience mood swings, particularly if he or she is experiencing cocaine withdrawal. Erratic behavior also includes violence, feelings of sudden euphoria, heightened productivity, and quickened speech. Addiction is an expensive problem. 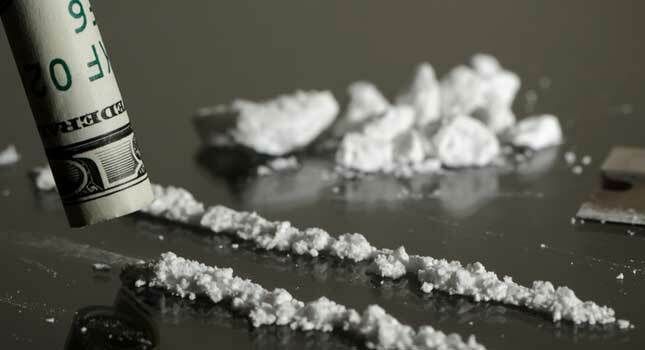 Cocaine addicts may spend exorbitant amounts of money to buy more cocaine to fuel their addiction. This means that other aspects of their financial life may suffer. Your loved one may have an addiction if they suddenly have difficulties paying their bills. If your loved one is exhibiting these symptoms, know that cocaine addiction help is available. Addiction is an insidious disease, but it’s curable with support and professional care. Here’s how you can help your loved one who’s suffering from a cocaine addiction. It’s detrimental to avoid addressing a cocaine addiction. It’s important to be firm but transparent with your loved one about your concerns. Talking about someone behind their back without tackling the situation head-on will only encourage your loved one to continue on a self-destructive path. Be honest about the problems and behaviors you’re seeing. Oftentimes a cocaine addict won’t be aware that they have a problem in the first place. Isolation is the friend of addiction. Help your loved one conquer his or her cocaine addiction by being there. Whether that means helping them fight urges during withdrawal or being an accountability partner, the best way to help is to be available and supportive. Although it’s important to be honest and present with your loved one, the best way to help them is to connect them with treatment. Addiction is a disease that requires professional treatment. In fact, your loved one may need professional assistance to avoid negative health consequences of sudden cocaine withdrawal. Research treatment options with your loved one and connect them with a certified cocaine addiction treatment center. It’s so difficult to watch a loved one suffer through a cocaine addiction. But knowing the signs of addiction and how you can help are the best ways to get your loved one on the road to recovery. Take the first, brave step to help others stomp out addiction. Learn about The Cabin’s residential cocaine addiction treatment programs here.